Slow economic movement affects the Indian tyre industry. The Indian tyre industry seems to be losing its grip in recent times because of an overall slow economic movement. The sector is directly influenced by the level of economic activity and the performance of the domestic automotive industry. The two major contributors to the sector are the car and two-wheeler manufacturers and the replacement market. A few more issues stare at the sector such as the flooding of Chinese imports into India because of the anti-dumping duty levied on Chinese tyres in the US. Adding to the manufacturers’ woes is the high import duties on raw material, which in some cases is more than the finished goods’ price. Currently, the import duty on raw natural rubber is between 10 and 70 per cent, while on finished natural rubber is below 10 per cent. This means, finished tyres can be imported at a duty of as low as 0-10 per cent under India’s Foreign Trade Agreement (FTA) with Asian countries. At the same time, the Indian tyre industry is an oligopoly market with the top five to seven players controlling the majority share. The trend among consumers, in the non-commercial segment, is towards long-lasting radicalised tyres rather than the currently prevalent biased tyres. A radial tyre allows the sidewall and the tread to function as two independent features of the tyre whereas a biased tyre consists of multiple rubber plies overlapping each other. Though Chinese imports account for less than 10 per cent of the overall tyre consumption, the problem is acute in the truck and bus radial (TBR) tyres segment. Says Arun Agarwal, associate vice-president, research, Kotak Securities; “The major pain is being felt in the TBR replacement segment. If one looks at it on a sub-segment basis, the market share is between 20 per cent and 30 per cent.” But, the passenger car and two-wheeler industry does not face any such challenges. In a research report by ICRA, the domestic tyre industry is expected to grow at 4-8 per cent over the next three years, supported by pick-up in the auto sector. Furthermore, revenues are expected to grow by 7-8 per cent during 2015-16, up from 5.7 per cent during 2014-15. Competition is leading tyre manufacturers towards aggressive pricing and this is likely to impact the margins going forward, particularly exports. 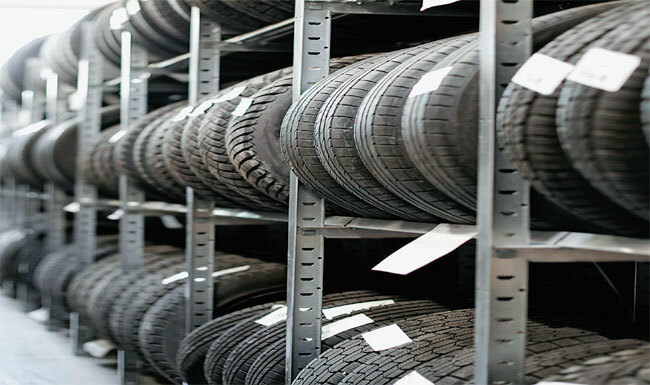 Companies in the tyre sector have been witnessing staid growth. To cite an example, Ceat Tyres’ sales growth was flat in the first quarter of 2015-16. Margins, however, improved due to lower raw material costs coupled with an improving product mix. Earlier, the company’s main focus was on the truck and bus segment, but today the share has decreased to around 43 per cent. What to look for? Says Jimeet Modi, CEO, SAMCO Securities; “The tyre sector as a business model is growing sustainably with decent RoE of over 20 per cent. Investors must own shares of tyre companies in their portfolio for high beta growth.” The passenger car and commercial vehicle companies are on the recovery path. As per SIAM, the sales of passenger vehicles grew by 6.74 per cent in April-August 2015 over the same period in April-August 2014. The commercial vehicles segment registered a growth of 6.03 per cent for the same time period. The going is definitely smooth, though minor speed bumps exist in the form of cheap imports.